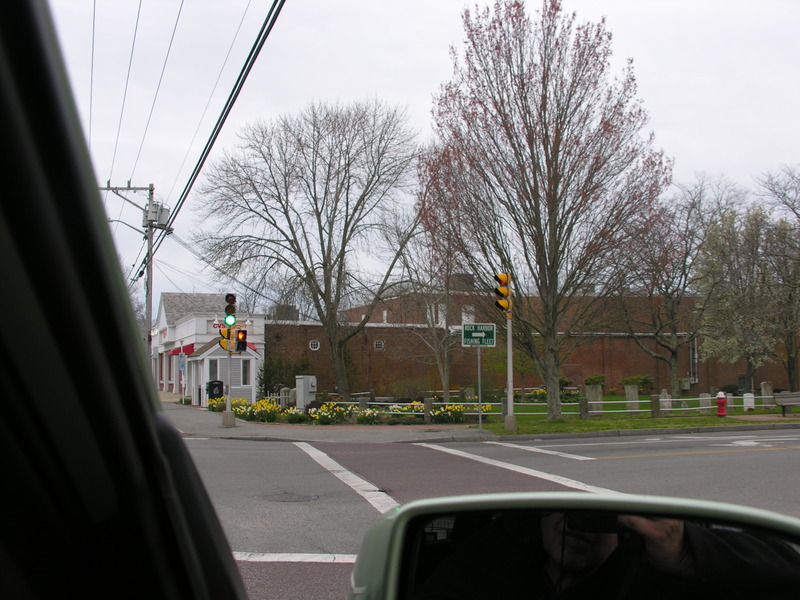 We took one of our favorite drives recently, to Cape Cod. It only takes about an hour for us to get there, and it’s always a pleasant change of scene. We don’t even think about going in the summer, because it’s just too crowded. Almost every yard was full of narcissus. Even the street corners had their share. They plant so many more of them on the Cape than they do here in RI. (I wonder why.) The header photo is just a small part of a large field of narcissus and muscari. I thought the trees growing up through the color gave it additional impact, and I asked my husband to turn the car around so I could get out and take photos. 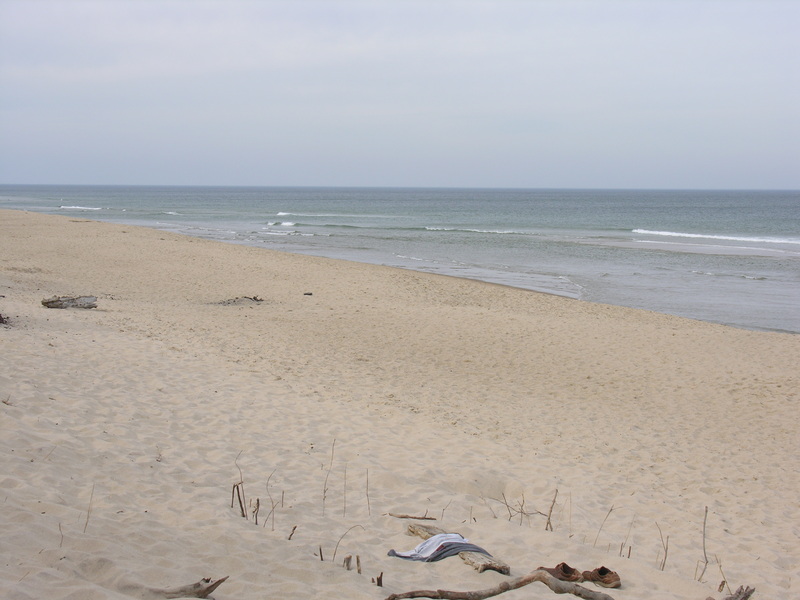 This time, we ended up at the Cape Cod National Seashore, on Coastguard Beach. It’s a seemingly endless stretch of sand – desolate and relaxing at the same time. Personal watercraft are not allowed here, thank goodness. This is where the pilgrims on the Mayflower first saw land, but the shoals were too dangerous so the ship headed up to Provincetown. Our dog loved hanging out and sniffing the spring breeze. 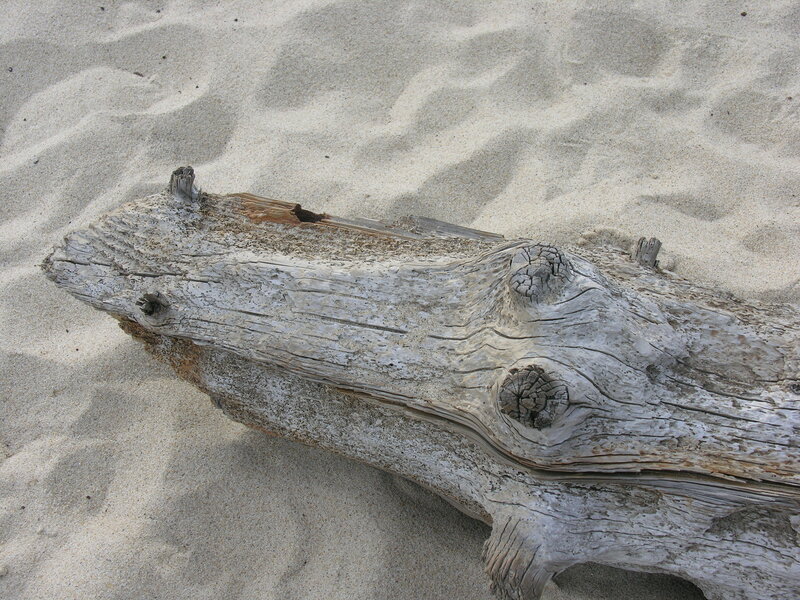 This is the driftwood we leaned up against while we lounged on the sand. When we got up, I realized it looked a lot like an alligator. Cool, isn’t it? Great photos, dirtynailz! The header is just gorgeous, and I have to say that is one good-looking dog you have. The driftwood definitely looks like a gator. Thanks, CJ, on behalf of myself and my dog. I’ve been checking your blog, and I am still having trouble figuring out which lunar phases are good for planting which vegetables. You sure do know a lot about that stuff…. Root veggies like potatos, radishes, beets, turnips and anything that keeps producing from the same root stock get planted in the waning phase, after the full moon and before the new moon. Seasonal veggies like lettuces, beans, okra, peas, most herbs, etc. produce their crop above ground. They go in after the New Moon and before the full ~ the waxing phase. Sage is perennial in my zone, so I’d plant it in the waning phase. Please ask about any veggies you’re thinking of in particular. Carrots? I feel as if I’m planting them late already. What is it about the Cape? I’m so glad it’s such a short drive from where we live. But as I wrote, forget trying to go during the summer! Those rotaries and bridges. Yuck!!!! Very nice photos. 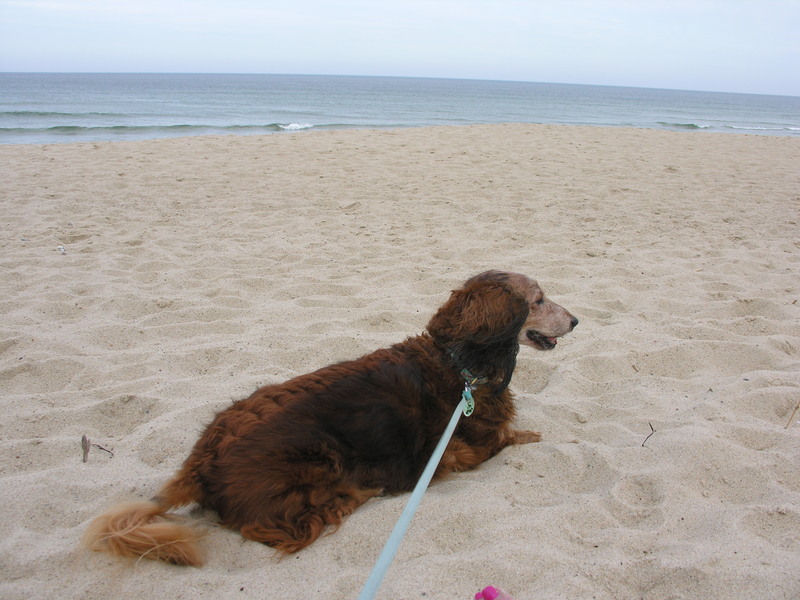 Love that sandy beach! In my younger years, I took a few trips to Cape Cod. I haven’t been there for over 20 years. This post makes me want to go back for a visit! Thanks, Martha. It is a wonderful place. That beach was so relaxing. All you could hear were waves and wind.